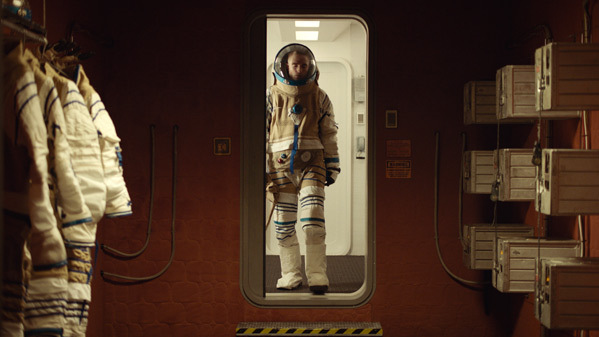 Wild Bunch has debuted the first brief, international teaser trailer for High Life, the latest from acclaimed French director Claire Denis (Beau Travail, 35 Shots of Rum, White Material, Bastards). This low budget sci-fi drama premiered at the Toronto Film Festival, and it's playing at the New York Film Festival as well. The story is about a man, played by Robert Pattinson, stuck on a spaceship heading to a distant star. He tries to interact with the rest of the crew who are slowly going crazy on the extended voyage. It's hard to describe this any better than that, and it's a hard film to figure out. Reactions from the festivals have been divisive, with extreme love and hate for this film. The cast includes Juliette Binoche, André Benjamin, Mia Goth, Lars Eidinger, Agata Buzek, and Claire Tran. This is a very short teaser that doesn't show much, but at least it's something as we wait for more marketing and anticipation for this indie sci-fi feature. The destination is the black hole within closest reach of Earth. The spaceship's crew is a collection of dangerous prisoners, last-chancers with nothing left to lose. At first Monte (Robert Pattinson) is the only crew member awake, rigorously tending to the ship to keep them all alive as they hurtle through space. But Monte is also caring for a baby daughter, born on board. This anomaly is only the first sign of the chaos to come. As Monte's self-discipline slips, the crew awakens and conflicts erupt. 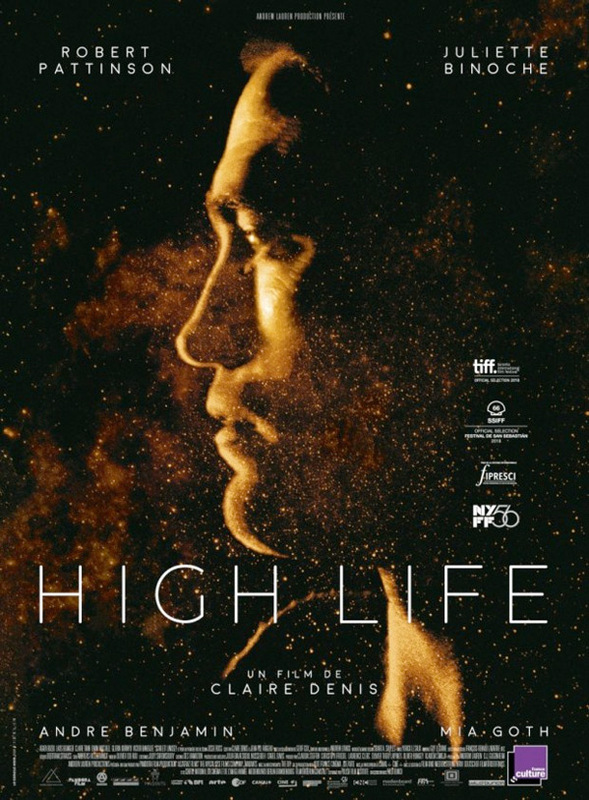 High Life is directed by acclaimed French filmmaker Claire Denis, of the films Beau Travail, Trouble Every Day, Friday Night, The Intruder, 35 Shots of Rum, White Material, Bastards, and Let the Sunshine In previously. The script is written by Claire Denis, and Jean-Pol Fargeau & Geoff Cox. This first premiered at the Toronto Film Festival and is next playing at the New York Film Festival. A24 will release Denis' High Life in US theaters, but no release date is set yet. Visit the official French website here. Stay tuned for more updates. Who's interested?